Is there a better way to serve brunch to a large group than a build-your-own bar? We aren’t thinking so. After trying out this brunch bagel party setup we are convinced that this is how we should tackle all large brunch gatherings going forward. There’s a bagel and topping combination out there for just about everyone, making it an easy way to please a crowd. Additionally, allowing guests to load up their own bagels takes so much stress off the host. 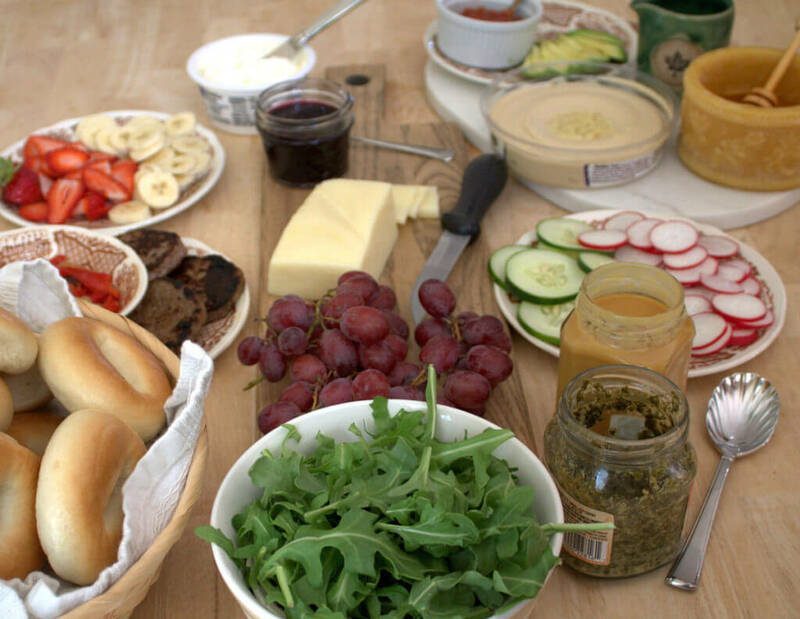 All you have to do is set up a pretty table with all the fixings and fill a basket with some bagels. You don’t even have to cook if you don’t want to. How easy is that? We put together a few tips to help you put together the most awesome bagel buffet menu possible. 1. Provide a couple different bagel options other than plain bagels. 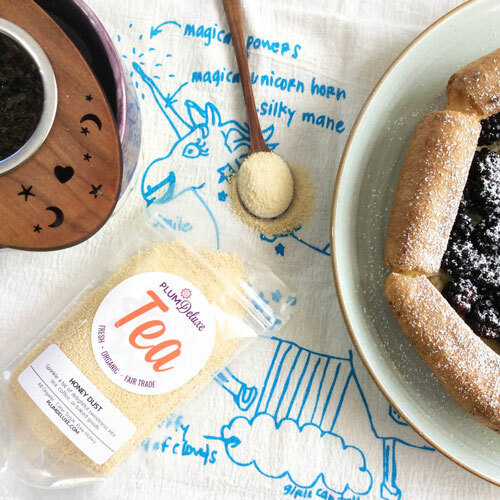 Consider having a savory option, like an herb or everything bagel, as well as a sweet option or two, such as a cinnamon raisin or blueberry bagel. 2. Start with the basics. Standard toppings such as cream cheese, hummus, and butter are definitely a place to start. 3. 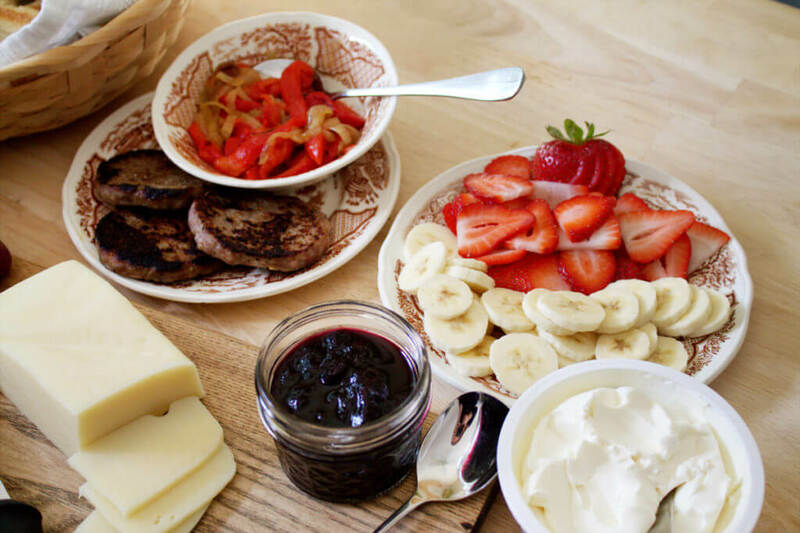 Add in some brunch favorites including eggs (scrambled, hardboiled, or fried are usually the best), sausage or bacon, and cheese. It’s probably best to have a couple different cheese options, since most people like cheese. 4. Stick with tradition. Other traditional toppings for bagels include smoked salmon, cucumbers, and radishes. 5. Layer the flavors. Add a few fresh herbs and aromatics for additional flavor. These can include anything from red onion and minced garlic to fresh dill, basil, or cilantro. 6. Increase the savory. Including a variety of savory toppings such as sautéed onions and peppers, greens, or cured meats such as prosciutto not only increases the options but also the complexity of flavors available. 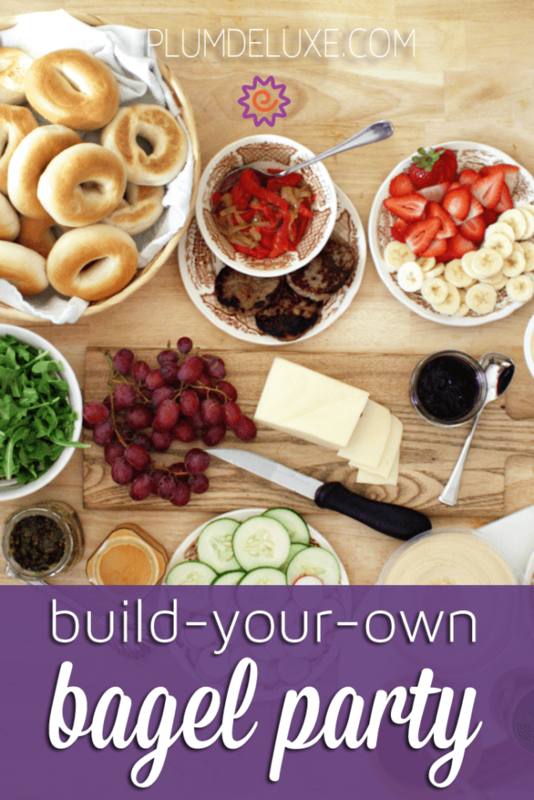 You could even combine your bagel buffet menu with a build-your-own bruschetta bar. 7. Bring on the sweetness. Toppings such as whipped cream, maple syrup, jams, honey (try out our raw honey crème) and fresh fruit are great additions that allow guests to go a bit sweeter with their bagel. It’s also a great practice to have contrasting flavors for a bar like this. 8. Level up the condiments. Additions such as pesto, mustard, or whipped cream can really take your set up over the top. The tips listed above cover a lot, however they are just a guideline. You can feel free to build as creative and varied or as simple and small a bar as you want. The options here are truly endless. In an effort to keep your own costs low, try thinking about the season when you’re planning your bagel brunch menu. Choosing fruits and vegetables that are in season will help you create a vibrant, flavorful, and inexpensive table that your guests will love. Want to make serving drinks just as easy? 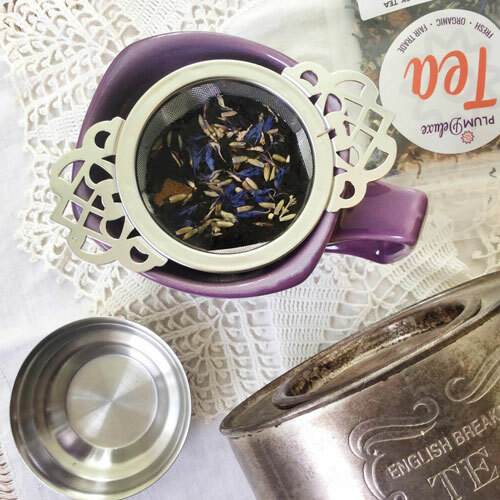 Make a tea station to go along with your bagel buffet. 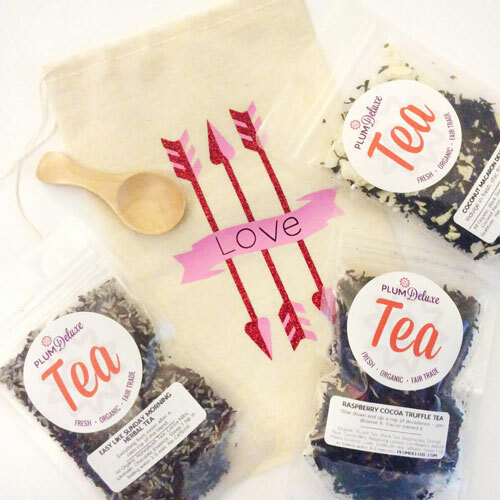 Our tea trio gift set comes with 3 ounces of tea and a wooden tea scoop so that your guests can scoop their own tea. Just provide the hot water and any accompaniments. 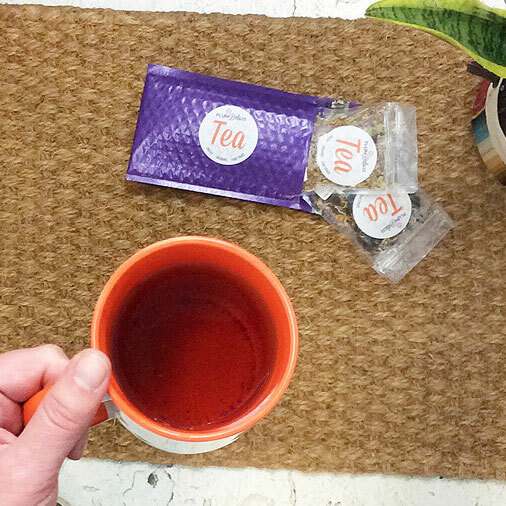 Once you’ve got your bagel buffet and tea bar all set up, you can relax. All that’s left to do is load up a bagel or two for yourself and enjoy time with your guests.